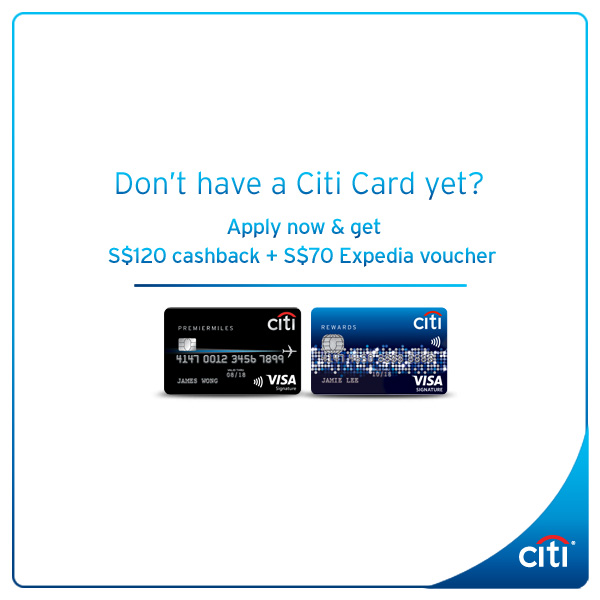 Home > Bank > [Citibank ATM] Book your next holiday on Expedia, your one-stop online travel site for attractive accommodation and air ticket deals. [Citibank ATM] Book your next holiday on Expedia, your one-stop online travel site for attractive accommodation and air ticket deals. Book your next holiday on Expedia, your one-stop online travel site for attractive accommodation and air ticket deals. Enjoy 15% off your bookings, plus you can pay with your points or miles on your Citi Cards. Offer is valid till 31 Dec 2017. T&Cs apply. Previous: [Mmmm!] A snack in your dinner!